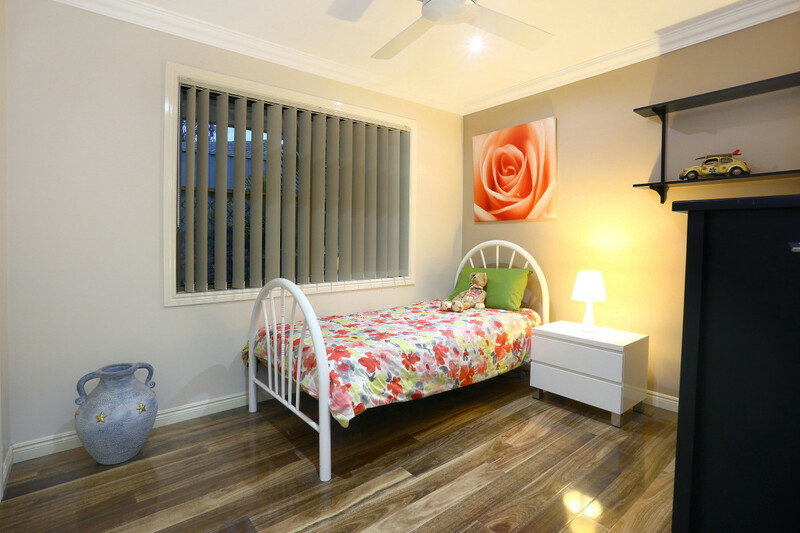 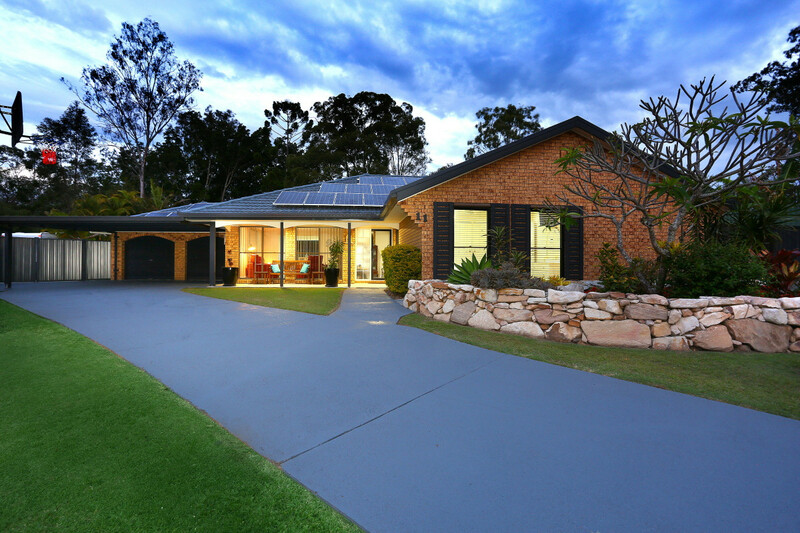 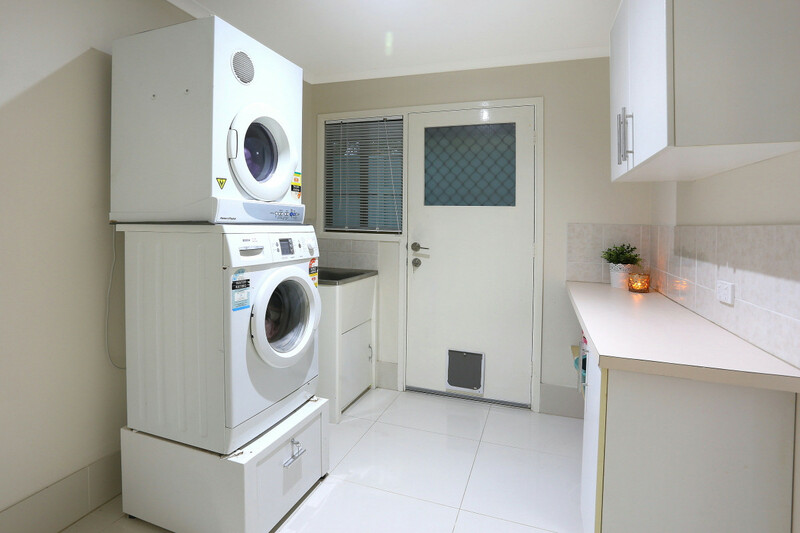 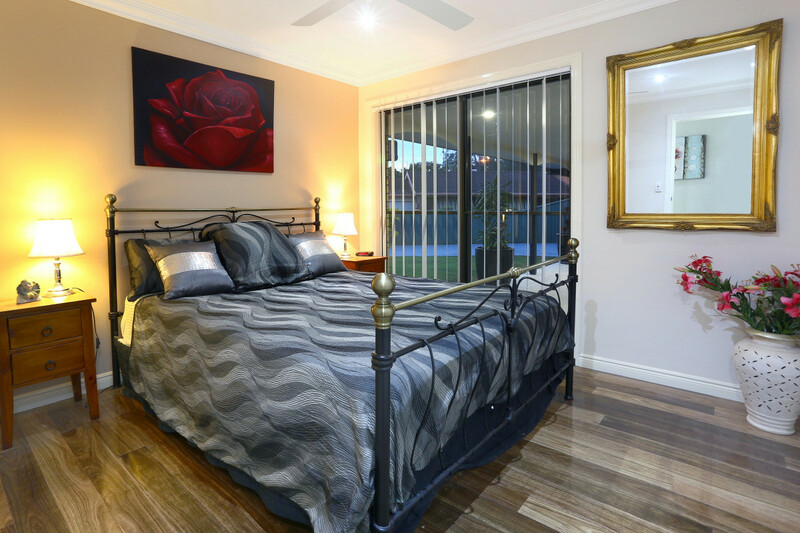 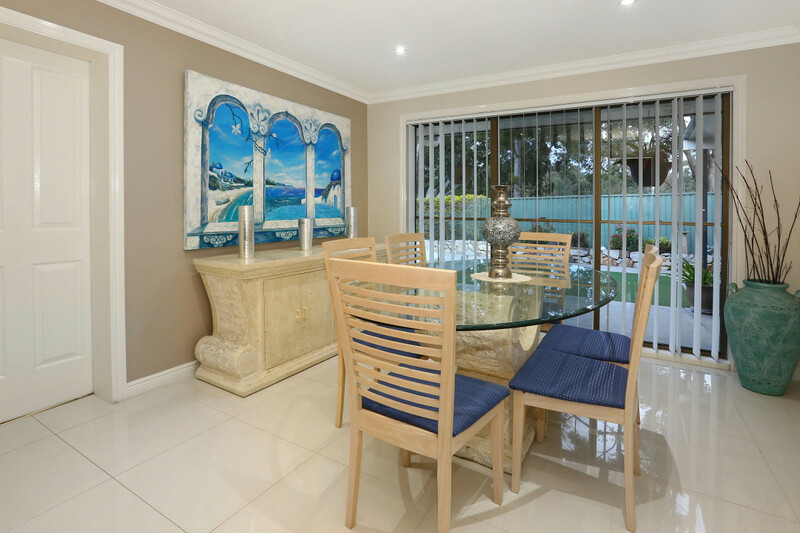 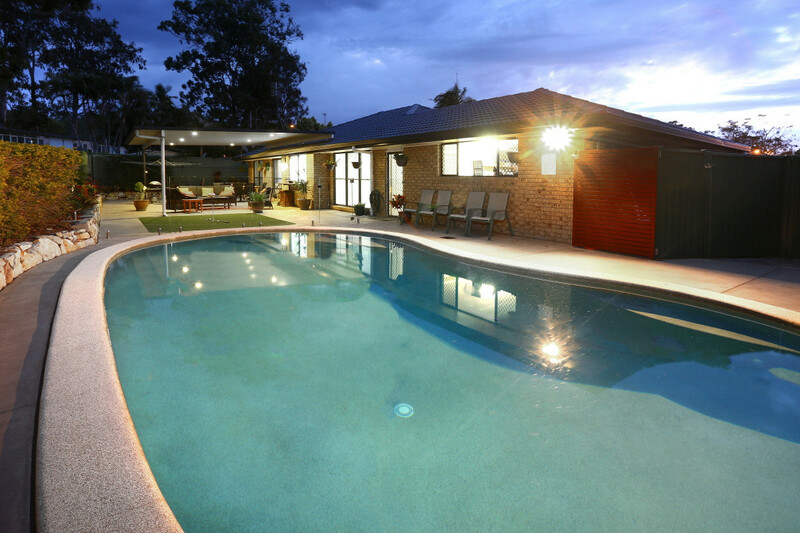 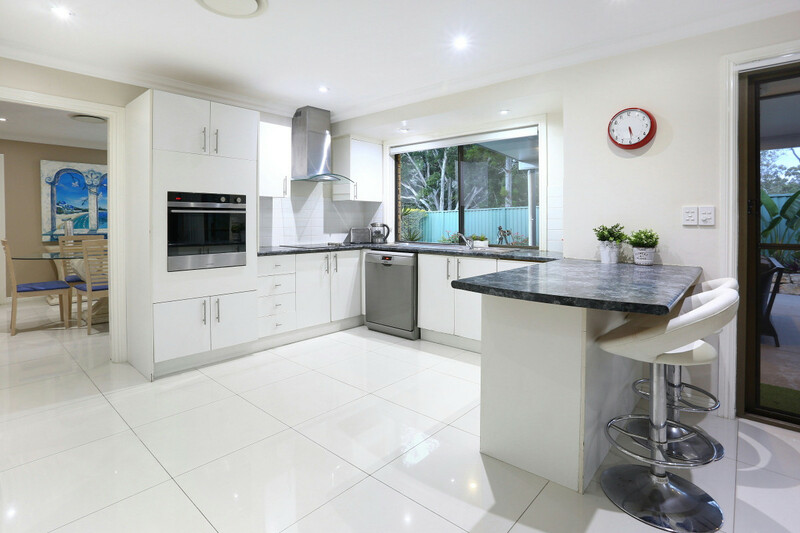 So private…..so appealing…..resting on an 827m2 flat block in the highly sought after southern end of Helensvale is this renovated 4 bedroom family home. 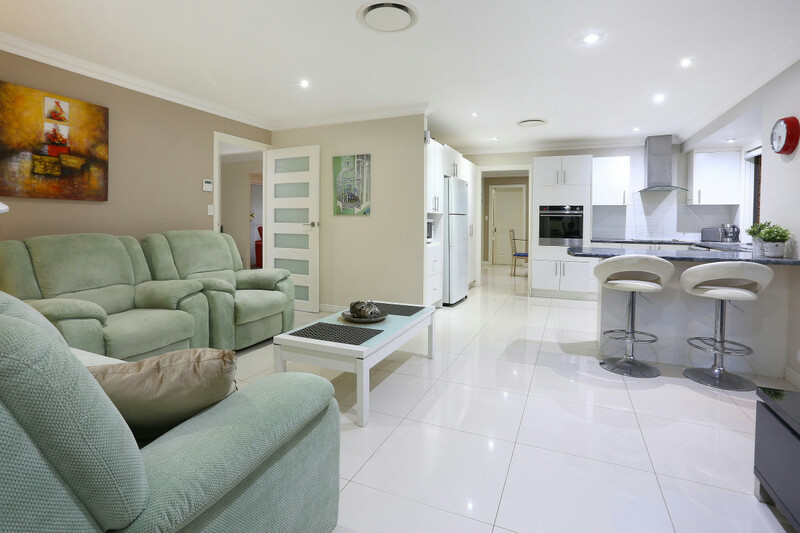 This home is set in a quiet cul de sac with a reserve at the back and offers a double car garage with a very comfortable 6 car parking space as well as an additional caravan space with a 3 x 3 x 2.1 m2 high shed as well. 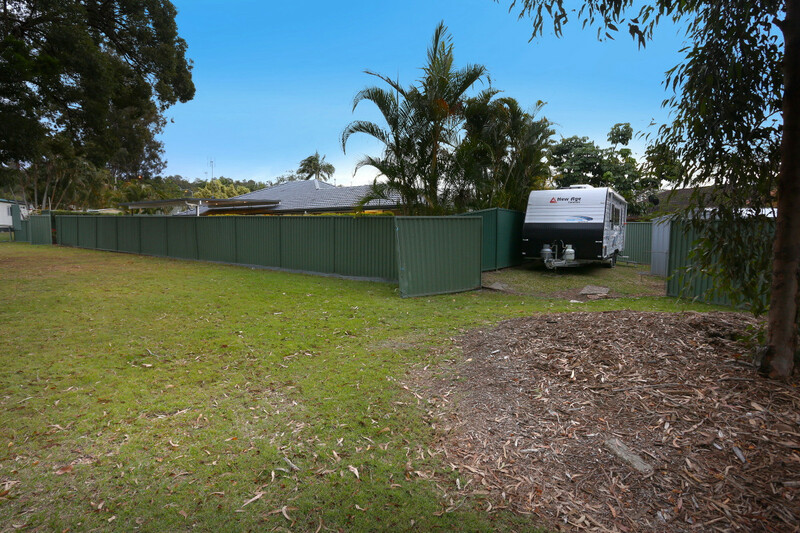 Plenty of room for kids or visitor cars. 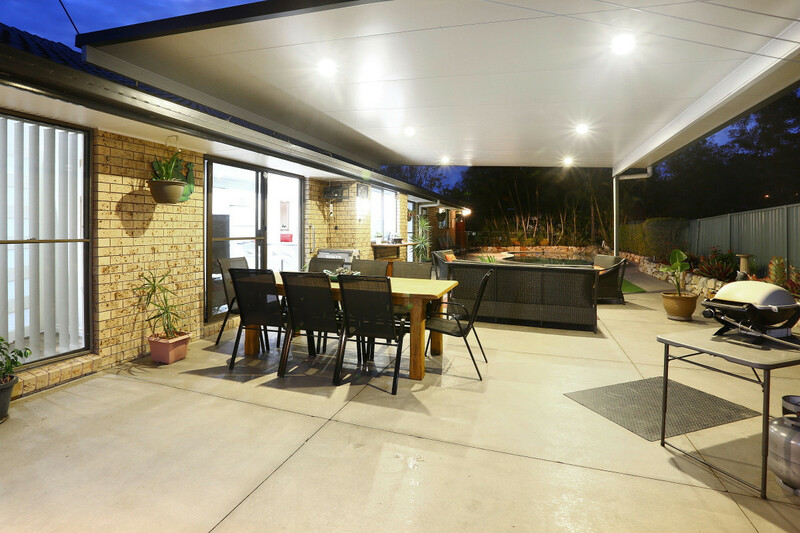 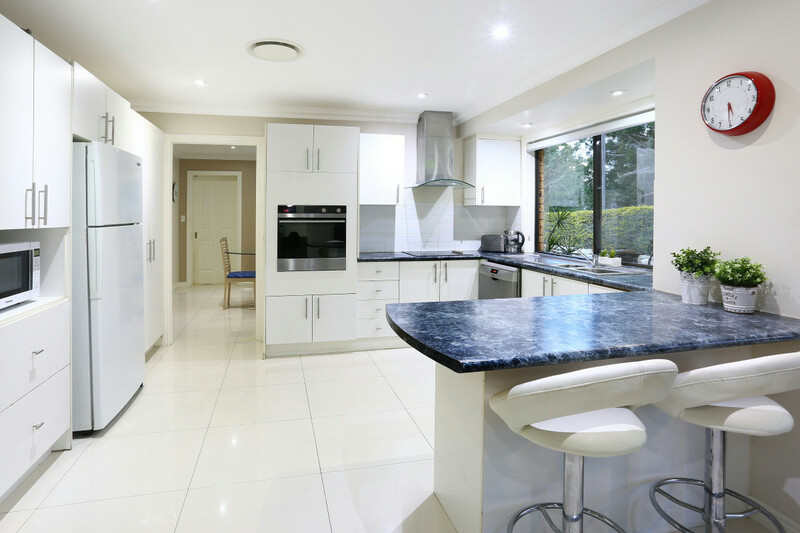 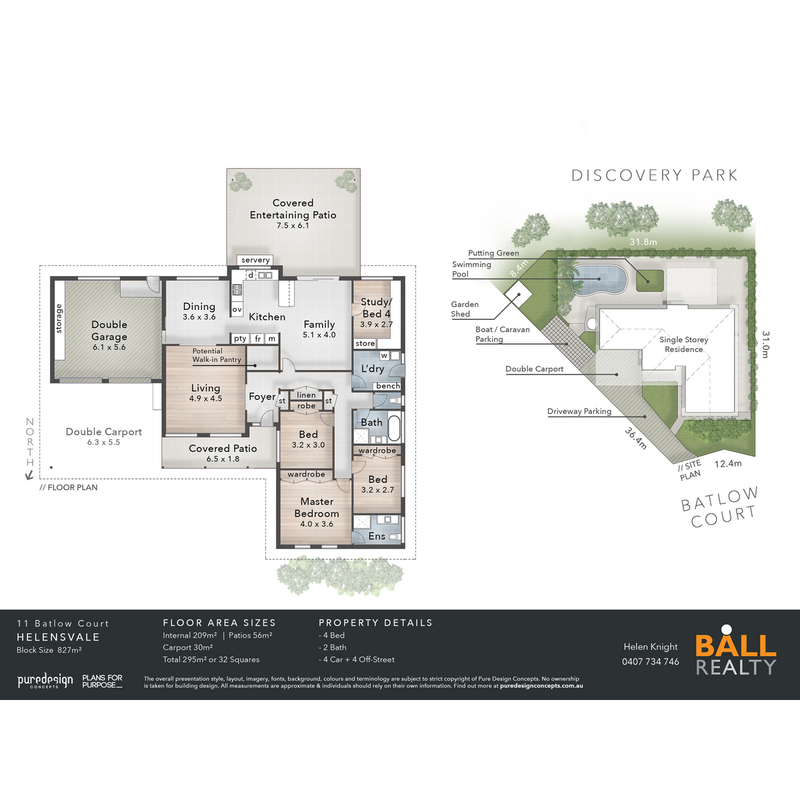 The spacious modern kitchen overlooks the massive entertaining and pool area and has a hidden small room adjacent to the kitchen offering the potential for a large walk in butler’s pantry. 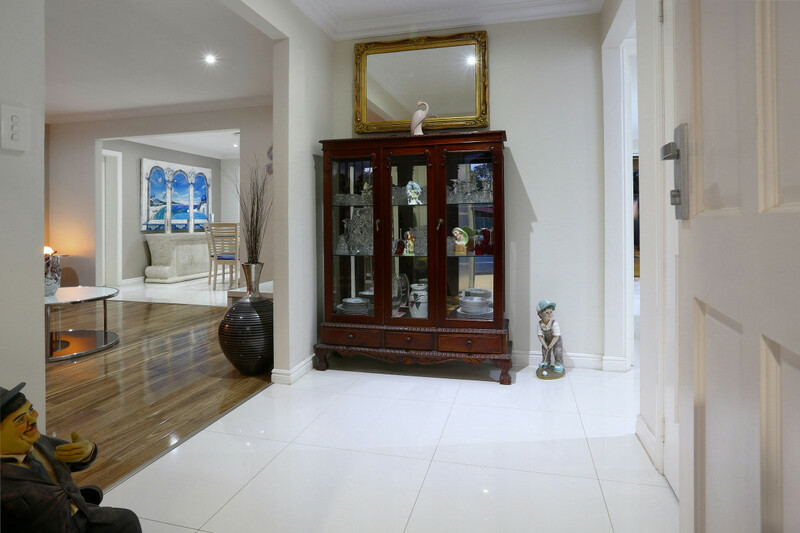 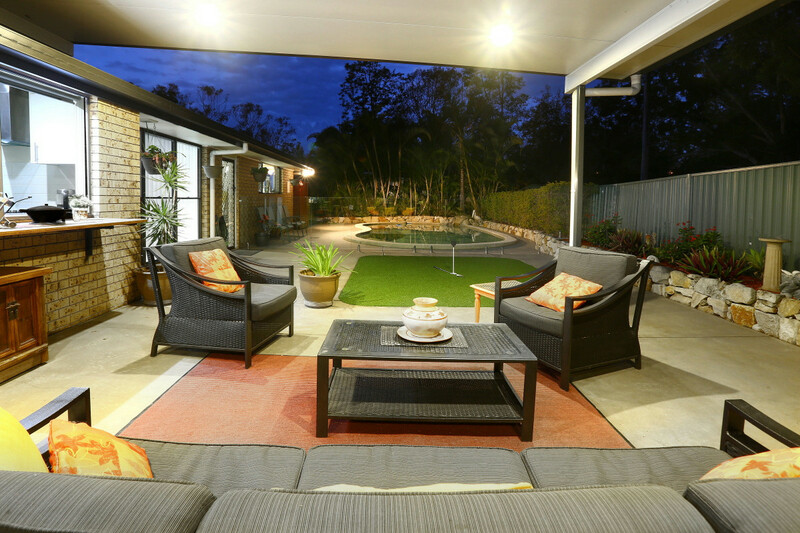 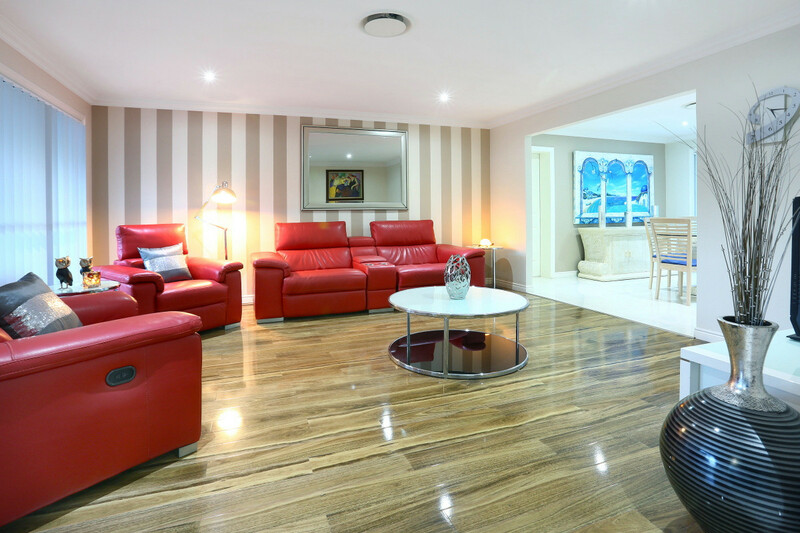 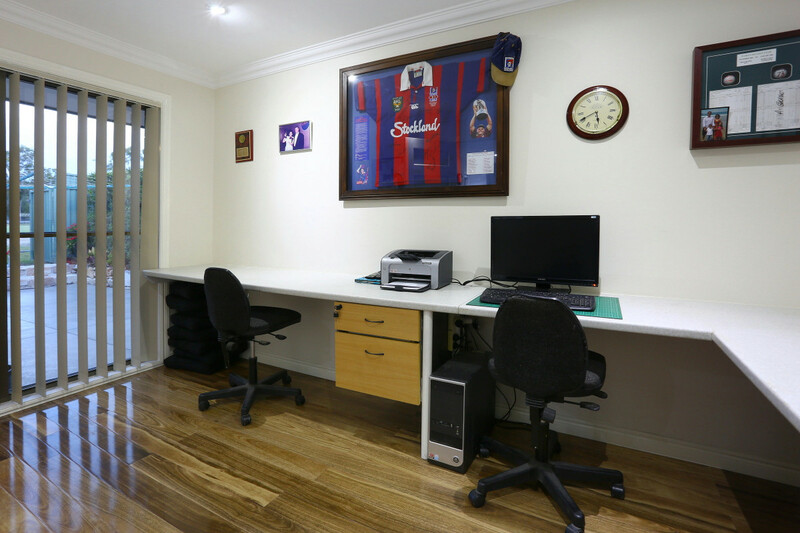 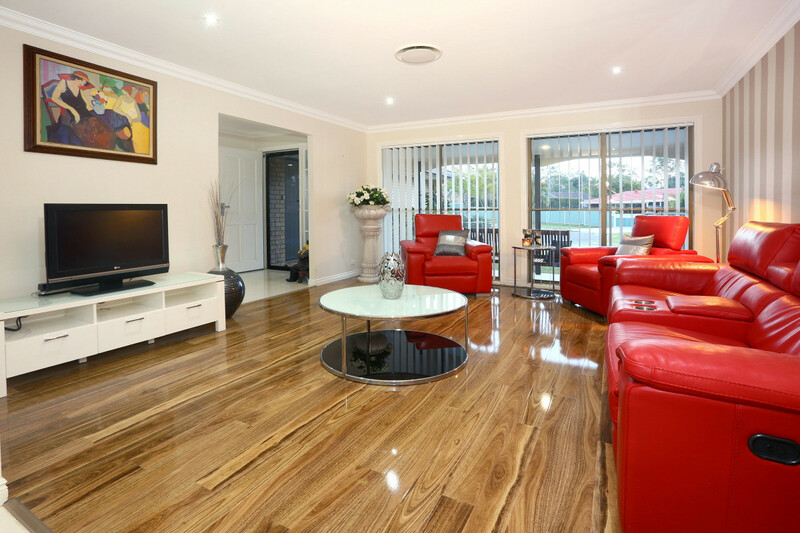 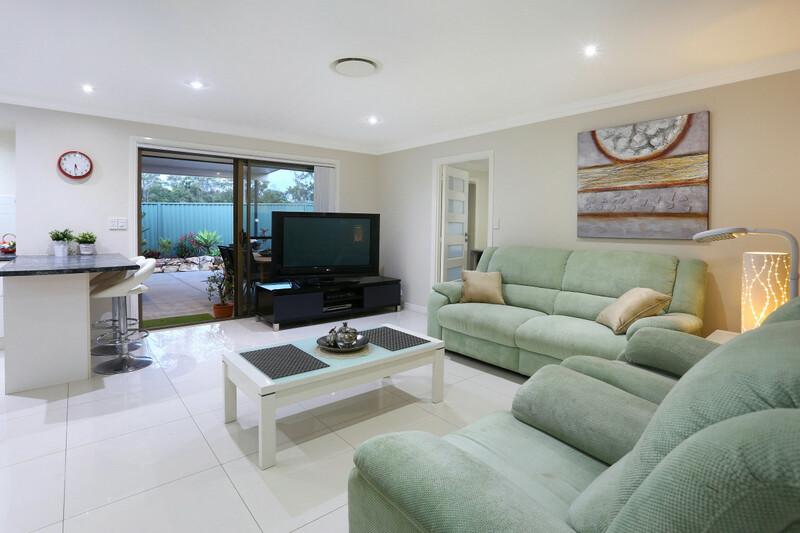 A large lounge room, separate dining room and a family room offers plenty of living opportunities. 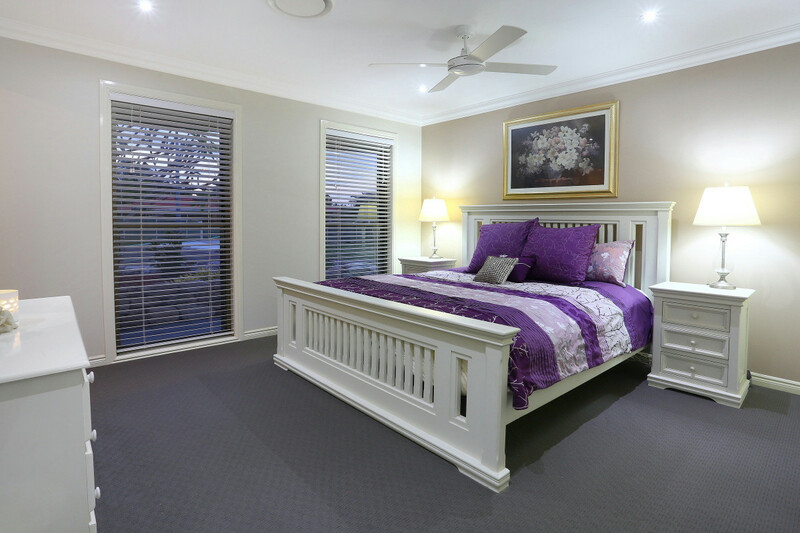 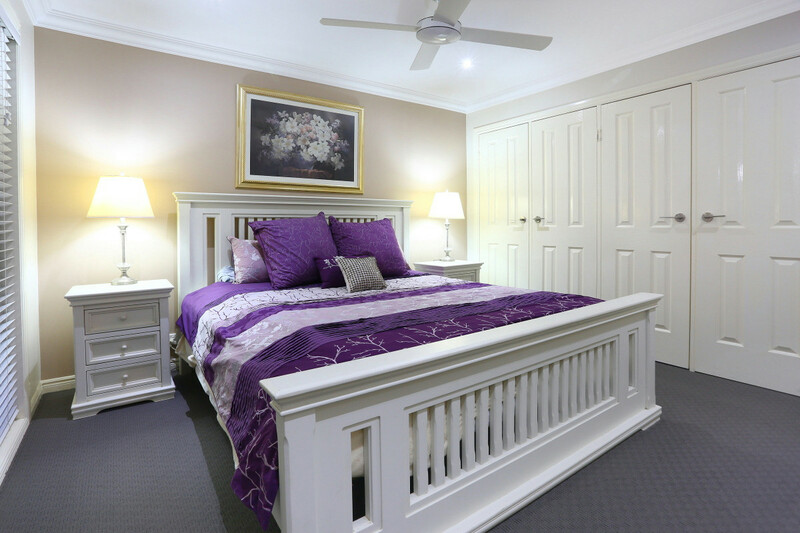 The tranquil master bedroom has a sophisticated renovated ensuite. 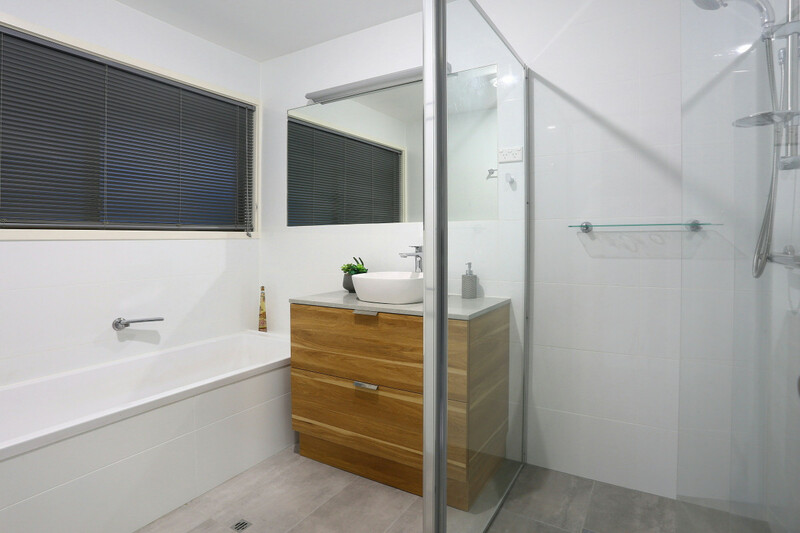 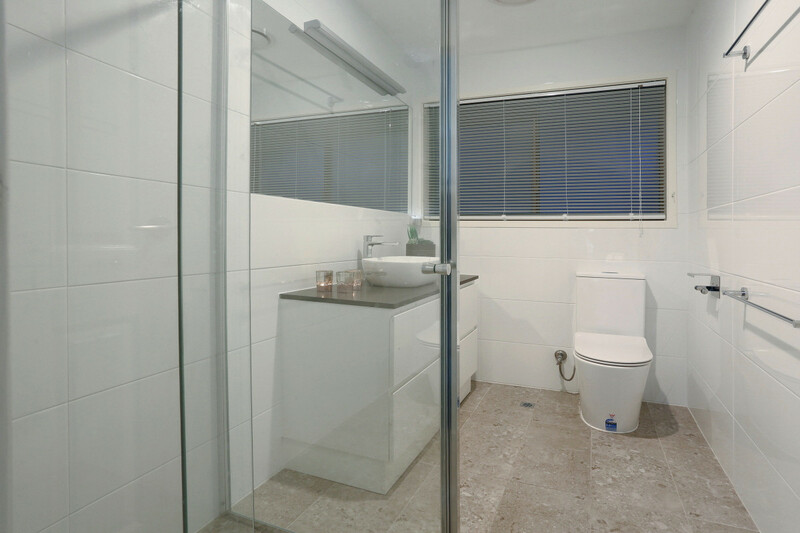 The remaining 3 bedrooms (one being currently used as a study) are serviced by an equally trendy renovated family bathroom. 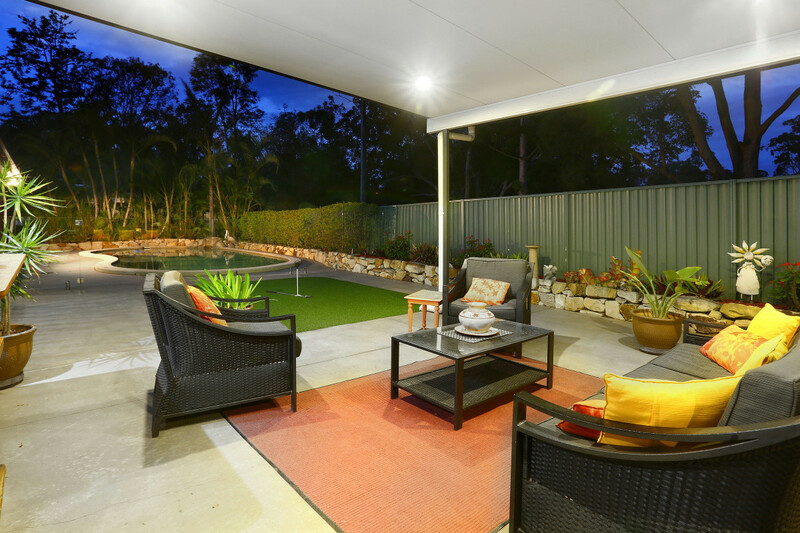 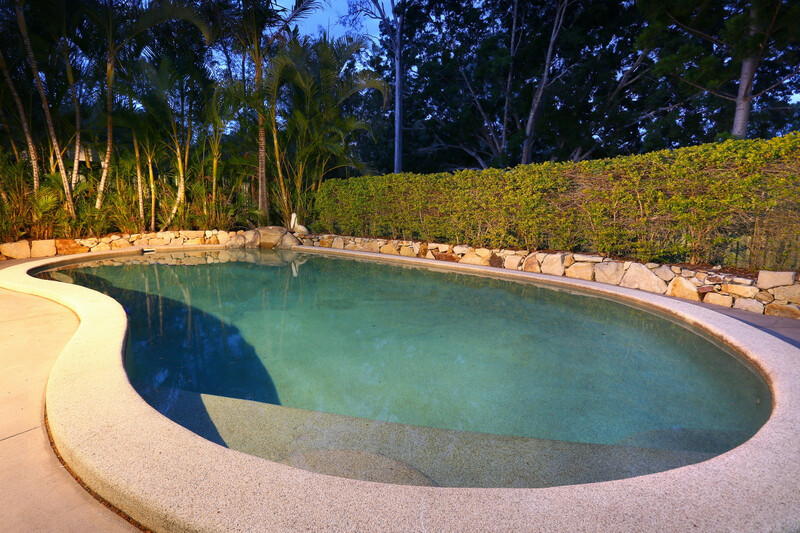 The covered outdoor entertaining area has a glass fenced sparkling inground lagoon style pebblecrete pool with tropical planting. 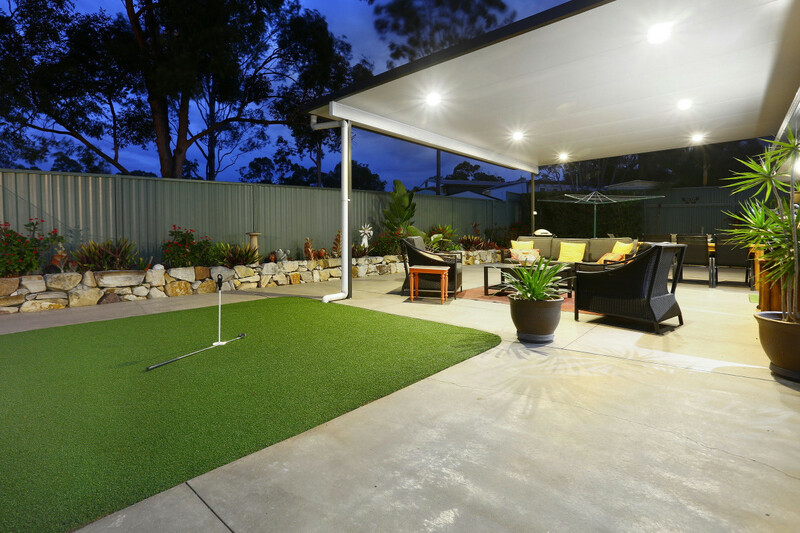 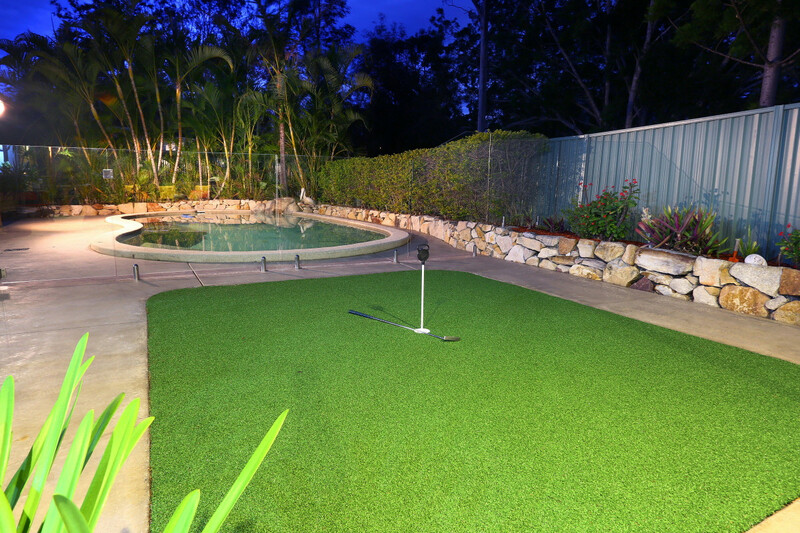 A artificial grassed putting green offers a bit of fun for family and guests. 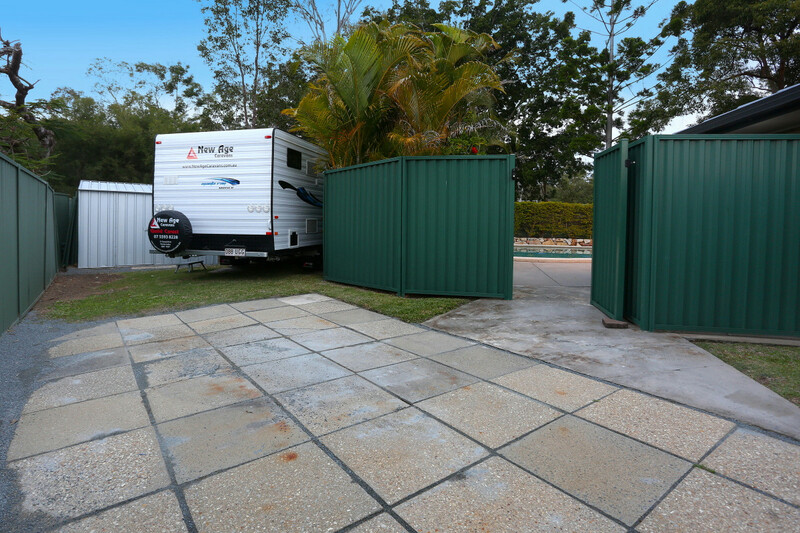 A back gate to the reserve allows for children and pets to have a run around in as well as a double door gate to the reserve for a caravan.